Over the pass seven years, larger desktop monitor sizes continues to be the trend. Our data shows that in 2016, over half of all desktop PCs are 20 inches or larger. 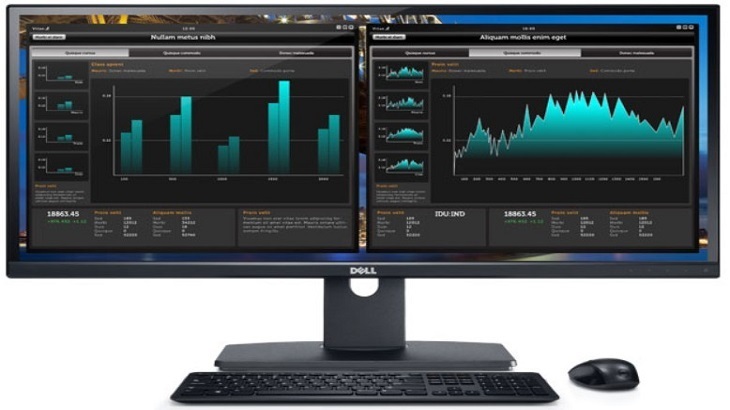 Large screen LED and LCD monitor prices continue to decline. 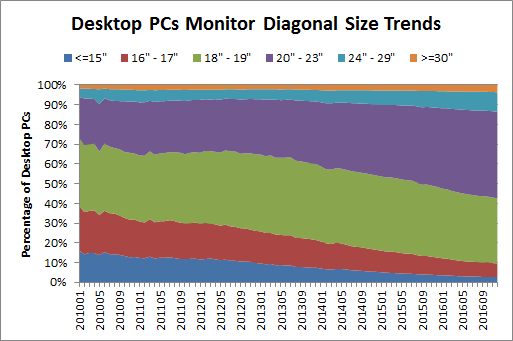 Another driving force of the larger monitor display size is a reflection of how PCs usage has become more focused on entertainment. Larger screens are often desired for tasks such as streaming video, displaying photographs and playing action games. The portable PC display size landscape show a little different picture. Our analysis below reveals relatively flat display sizes over time. 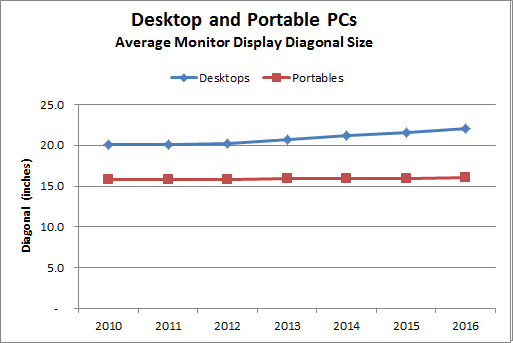 Obviously, the 18 inch and larger displays reflected in the chart below are likely due to external monitors being attached to portable PCs. 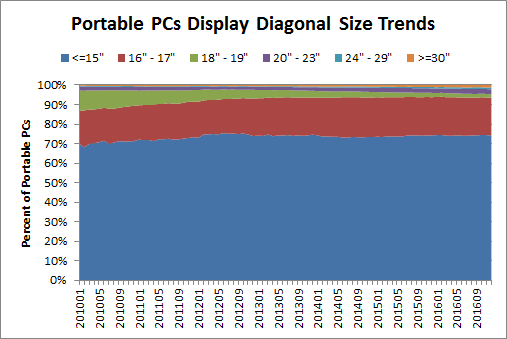 The data shows that the 15 inch display size represents approximately 75% of the portable PCs in use today. In addition, approximately 15% of users prefer the larger 17 inch displays for their portable needs. Research, The Pit Blog. permalink. Seems like soon we will have Monitors as big as a bed!